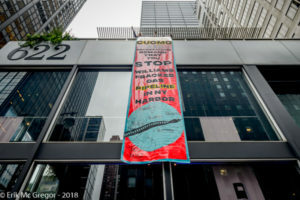 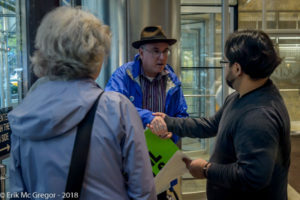 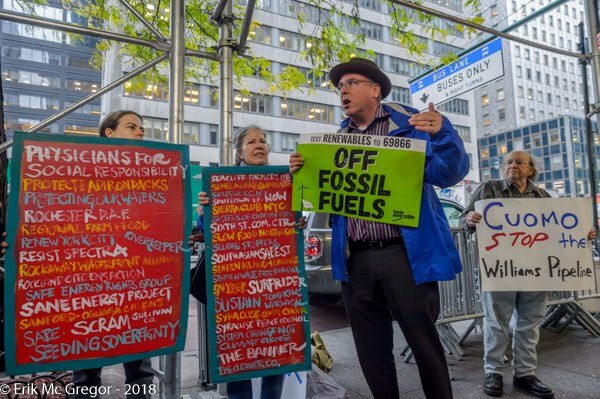 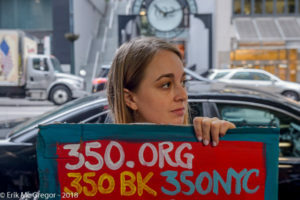 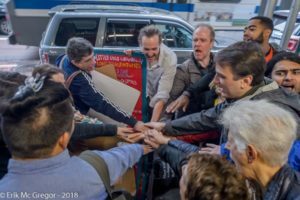 New York, NY – New Yorkers took direct action outside Governor Andrew Cuomo’s New York City office on November 2, 2018 sending a clear message: Be a real climate leader and stop the Williams NESE Pipeline. 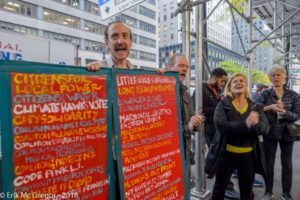 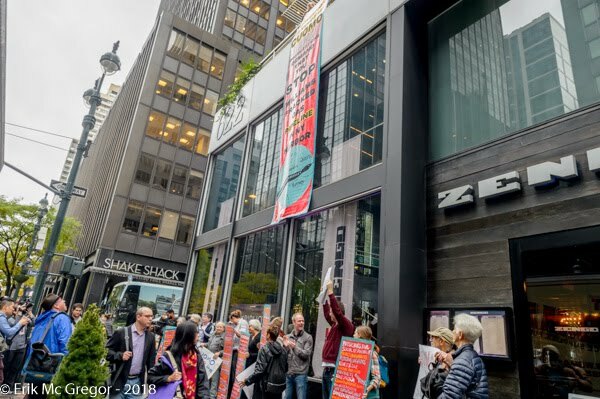 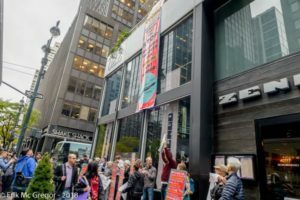 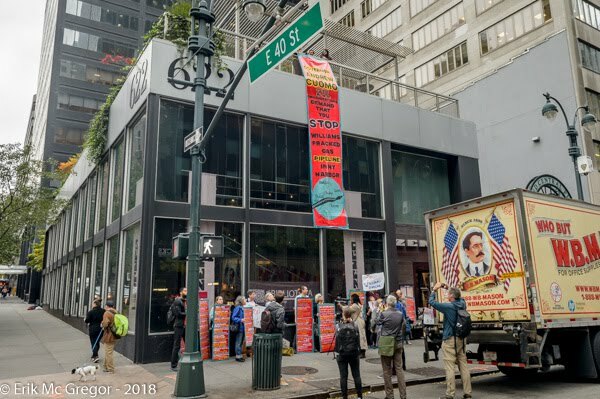 Dozens of activists rallied before dropping a 25-foot banner across the street, and delivering a letter opposing the pipeline signed by 211 New York organizations. 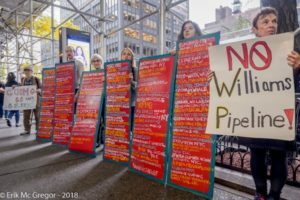 The Williams Northeast Supply Enhancement pipeline is proposed construction of a 23-mile pipeline extension from New Jersey, cutting through the waters of New York along the Staten Island coast, past Coney Island and into the Rockaways. 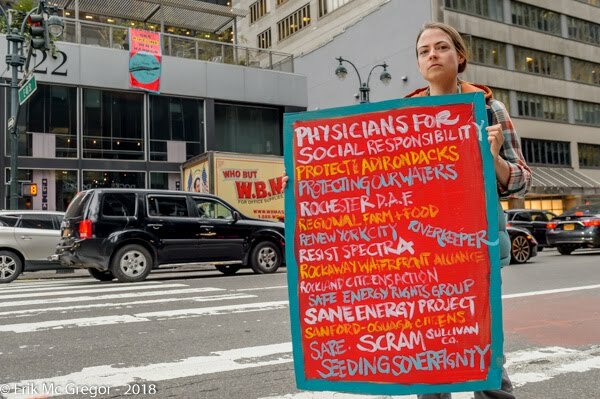 Participants of today’s action include representatives from New York Communities for Change, Sane Energy Project, Food & Water Watch, 350Brooklyn, Stop the Williams Pipeline Coalition, 350.org, Fossil Free, TK TK, and more. Over the last two months, a series of investigative reports published by WNYC and Capital & Main revealed potentially egregious conflicts of interest between high-level officials in Albany and the Williams Pipeline Company. One found that found that former CIO Vicki Fuller left her position at New York State Comptroller Thomas DiNapoli’s office in July, immediately assumed a director position with Williams Pipeline Company, and increased investments in the company by $80 million even as its stock dropped. 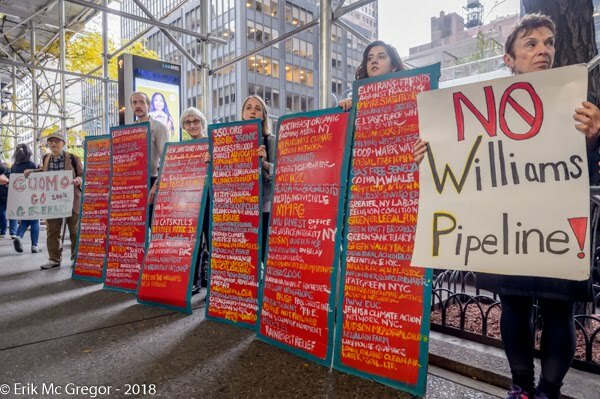 In September, New York City Comptroller Scott Stringer announced his opposition to the Williams Pipeline, recognizing it as a “monumental step backwards.” Numerous elected officials are joining in a growing opposition letter. 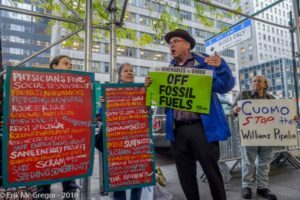 Across New York State, pressure is mounting for Governor Cuomo to make New York a model for a just transition to 100% renewable energy and ending all fossil fuel projects, especially fracked gas infrastructure. In addition, Andrew Cuomo appointed Maggie Moran, a lobbyist for Williams Co., as his gubernatorial re-election campaign full-time general consultant in charge of managing day-to-day operations and strategy. 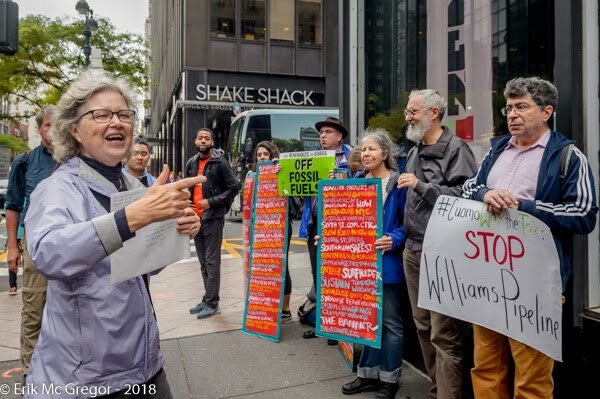 Moran has presented on the topic of “Natural Gas Infrastructure Advocacy” at a Williams Companies conference in May 2018.